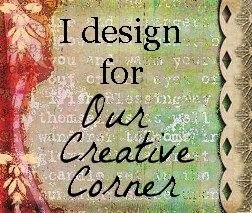 tincan handmade craft deli: Sneak-Peak: I’m a GUEST DESIGNER for “Our Creative Corner” this month!!! A genuinely South African take on anything that makes my "eish"! 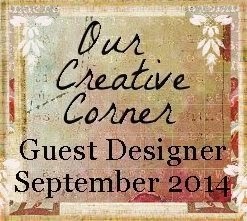 Sneak-Peak: I’m a GUEST DESIGNER for “Our Creative Corner” this month!!! I have been so excited about this for so long and I am even more than excited to finally be able to direct you over to Our Creative Corner“ where I have had the excellent honour of being invited to be the guest designer this month. I have got to say that I had the most amount of creatification I have ever had with this project!!! For you to get some of your own “creatification” on, pop on over to Our Creative Corner by clicking here – and you will find instructions for all my personal techniques for creating the special effects and elements I used on this project. I am not going to tell you exactly what the project is – ‘cos that will just spoil the surprise now, wouldn’t it? 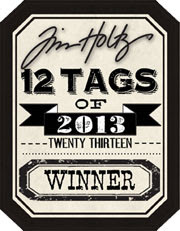 Here are a few more teasers though…. Oh yes, Candice, tons of creatification to be spotted with your gobsmacking project! LOVE LOVE LOVE it! Thank you so much for accepting the invite and being with us at Our Creative Corner today! Just back from a lookee....wow! I can see why you were psyched... it's awesome! Your art is always stunning and out of the box. I've left a comment over on OCC Candice but I have to say this is one amazing project that you shared with us. So glad that Claudia got you to join us. I need to follow you now for some wow inspiration! Thank you so much. If you are ever in Cape Town again, contact me and I can meet you at Truth! It would be lovely to meet up with a fellow crafter in the Best Coffee shop in the World! It is early in the morning, I am sitting in Bed with a nice cup of coffee, wandering around blogland. Actually, still too tired to leave comments. But seeing your beautiful, mysterious book and following each of the included tutorials made me want to jump out of bed, straight to the work table. Your piece of art is just stunning, dear Candice! It is moutwatering and inspirative! Thank you so much for your generosity of sharing all those explicit details! I love every single bit of it, all the more as I too, llike to recycle what I can. It was a pleasure finding you in blogland and be assured, I will visit you more often! I didn't use a die, I just used a punch for the smooth edges, but you can just cut that with scissors. According to new EU law, visitors from the EU are advised that this blog is subject to all Google cookies and also runs analytics via StatCounter.